When it comes to BMX tools, one of the first multi-tools that comes to mind is the DK Bicycles Random Wrench. DK were the first ones to release a multi-tool like this and that lead to a couple other brands making tools of their own to help simplify things so you didn’t have to haul around a bag full of tools to keep your bike rolling. Over the years, DK have refined their tool and the 3rd version of the tool has simplified things even more to ensure that you have everything you need in one kit. The Random Wrench V3 still features it’s tube handle design that allows you to carry 15mm and 17mm deep sockets, 5mm and 6mm hex bit drivers, 6mm, 8mm and 10mm nut cut outs, a 3/8″ extension to ensure you can get your sockets to reach in a peg, a tire lever and a cap that features a spoke wrench that also helps keep everything stored inside nicely. The only thing you are really missing for important tools is a chain breaker. So, if you’re looking for a multi-tool to help simplify your bike maintenance, DK’s Random Wrench V3 might just be what you need. 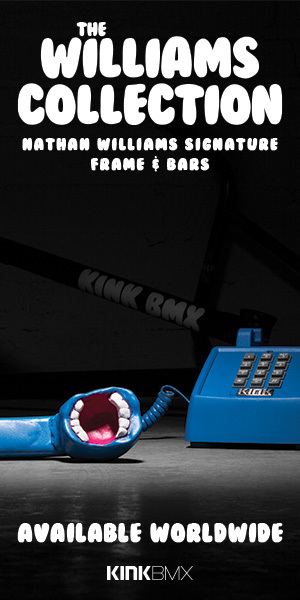 It’s currently available through BMX shops and mail-orders that carry DK Bicycles. You can also pick it up on AMAZON with free shipping.